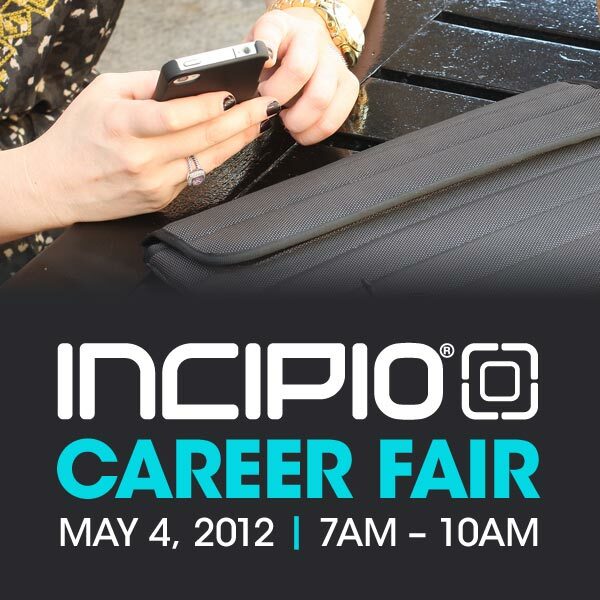 Incipio®, Southern California based designer and manufacturer of award winning mobile device accessories, will be hosting a career fair Friday, May 4 at their Irvine headquarters to find qualified candidates in a variety of job categories, including accounting, customer service,IT, production and sales. The career fair will be held from 7am-10am at 6001 Oak Canyon in Irvine. Job opportunities range from entry level to management positions. Applicants are encouraged to bring their resumes and portfolios (if applicable). Interviews will be held on a first come, first serve basis. Incipio® is a Southern California based designer and manufacturer of award winning mobile device accessories. Established in 1999, Incipio® is widely recognized for consistently creating state of the art protective solutions for the mobile world. Through an untiring commitment to innovative and original designs, Incipio® is globally recognized for the functional and premium accessories the brand produces without the lofty price tag. Incipio’s® products are sold worldwide in leading consumer and electronics retailers, wireless retailers and through www.incipio.com.